FHR Longhorns along with just enjoying being a part of the Longhorn Industry, believes that for those that are so blessed it's important to give back. This year we are donating cattle to raise money for the Custom Made Kid Foundation which provides education on, and financial assistance for, adoption and fostering. Also, the Green Beret Foundation which provides assistance to the community of Army Special Operations' soldiers and their families beyond what the VA provides. 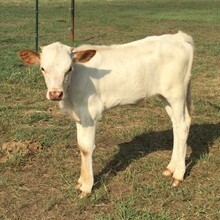 As well as, the TLBT which provides scholarships and donated calves to deserving youth in an effort to excite a younger generation to want to be the Longhorn breeders of the future.